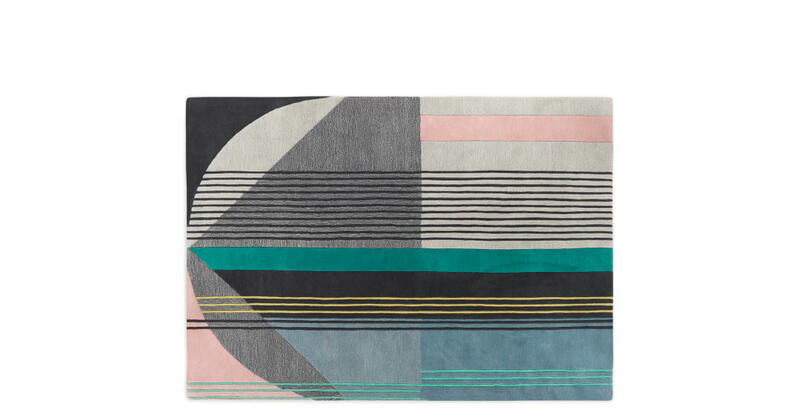 A daring rug, with go-faster stripes and an abstract design. Designed in a teal, pink, yellow and grey melange colour palette. Hand tufted in India by our expert manufacturers, it’s hand carved along each of the shapes, which emphasises the pattern even more. Designed in-house by MADE Studio. They’re a talented lot. Put their brilliant creation to good use, won’t you? Place it where it’ll receive max admiration.